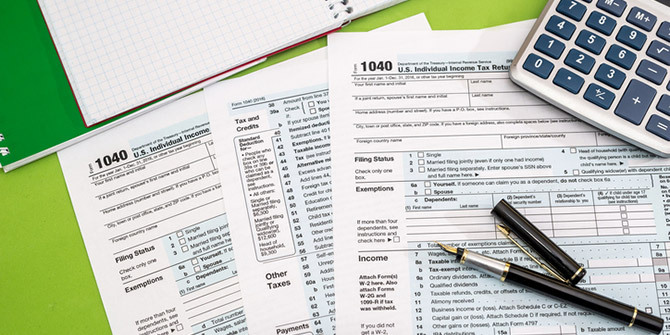 Whether you choose to use an online tax preparation app, hand the job over to an accountant, or file your own taxes offline, make sure you avoid the six most common tax filing mistakes. A small miscalculation can throw off your numbers and possibly trigger IRS scrutiny. If you use a name other than the one the IRS has on file for your Social Security number — even a misspelling — it can spell trouble when you file. Did you have a secondary source of income last year and didn’t receive a tax form for it? If so, complete and submit an IRS form 1099-MISC. Donating to a charity can be a win for you — a lower tax burden — and a win for the charity. Money can be deducted as a charitable contribution as long as you get a receipt. However, only donations of food, gently used clothing and household items given to an organization with a tax-exempt status can be deducted from your taxes. The standard deduction increased to $6,350 for single filers, $9,350 for head of household, and $12,700 for married filing jointly. The maximum earned income tax credit (EITC) increased to $6,318. If you’re filing a paper form, be sure to sign and date where necessary. Also, get a receipt to confirm your mailing. Even better, file your taxes online for a faster and more secure submission. Not only will you get any potential refund faster, but e-filing with good tax software can reduce the chances of making a mistake. The software can also help check for missed deductions or credits. If you owe money, you can set an automatic payment date anytime on or before the tax year’s due date. Like filing a paper form, you’ll still need to sign your return when you e-file. To do so, you’ll use a Self-Selected PIN to confirm submission instead of your signature. If you need help filing your taxes, call or visit a branch near you to ask questions or get low-cost tax help. Members can also get a discount when filing their taxes online with TurboTax.